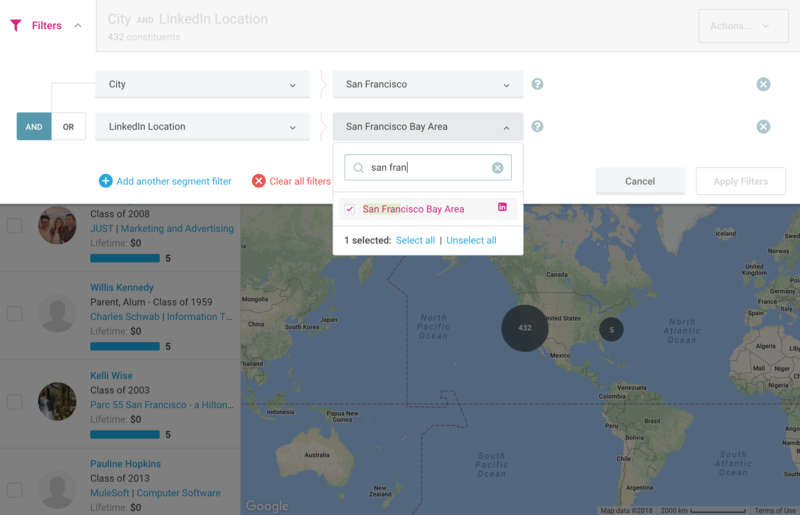 Use EverTrue’s Map Feature to streamline event-planning efforts & easily visualize your alumni data with our Google Maps integration. 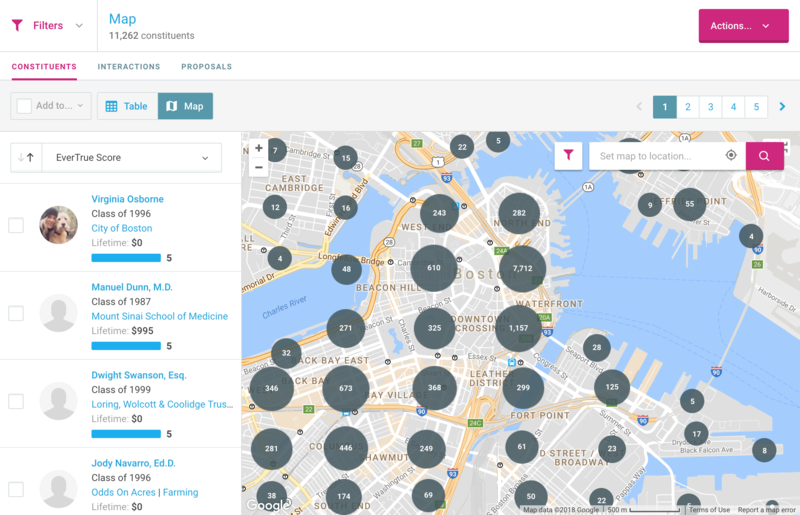 Use the Map Search to quickly see constituents in that area according to your database, then add any number of our 40+ search filters to narrow down your search even more. 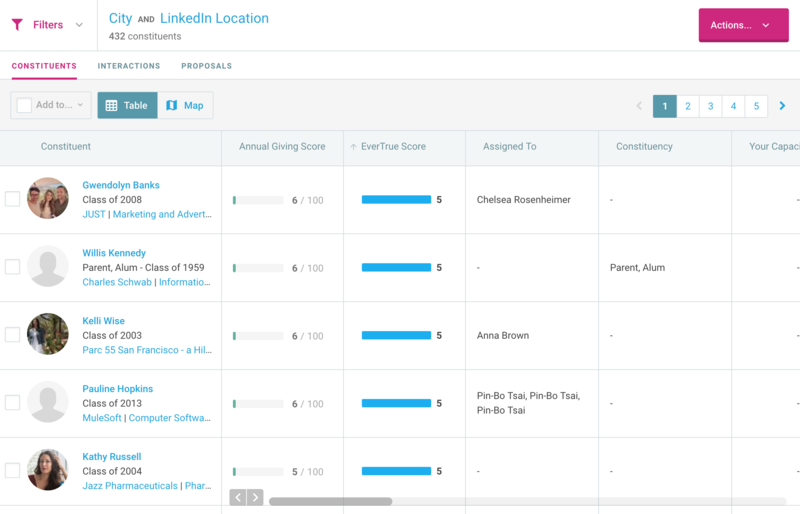 You can add in Facebook Content Engagement to narrow your list to alumni who you already know care about your event’s topic, search for certain industries for a career networking night, filter by class year for young alumni get-togethers, and/or search by lifetime giving amounts for giving circle stewardship events. 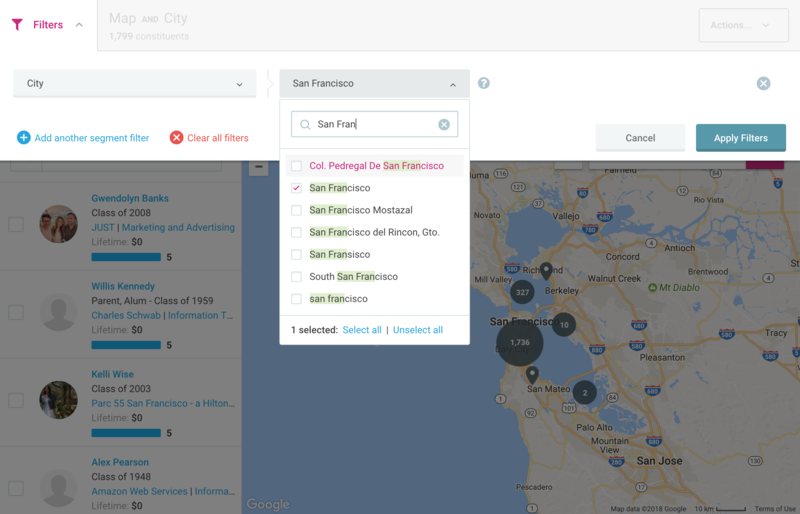 Once you’ve created the segment you’re looking for create a new list or or add them to an existing list in EverTrue. You can export this list into a .CSV file to use for email or print invitations. As your alumni, parents, and friends register for events you can copy and paste a list of attendees into EverTrue, then sort the list by key information such as gift officer assignment, lifetime giving, current-year donor status, volunteer role, and more. Sharing this information with other offices helps maximize the impact of your event, create stronger relationships between graduates and your institution, and showcases the hard work you’ve already put in.